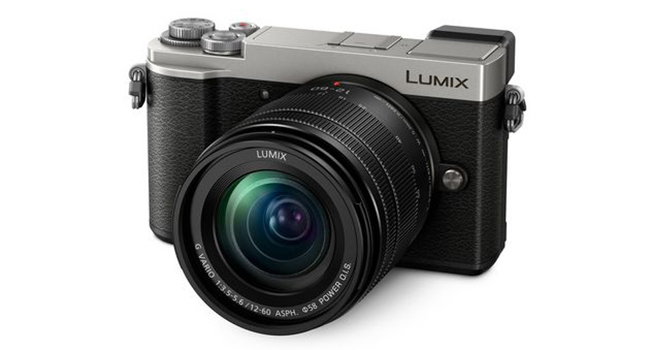 The Panasonic’s Lumix DC-GX9 is joining the current fashion for compact cameras in the rangefinder style, ideally suited for the photographer on the go. Compact shouldn’t be confused with a limited amount of features or quality – the DC-GX9 packs 20 megapixels, a Four Thirds sensor, and a nice tilting viewfinder to capture those extreme angle shots. What you need in a design like this one is a solid build, with easy to access features and gives stunning image quality. The DC-GX9 can give great JPEG images, along with the same quality of raw files if needed. Throw in 4K UHD video at 30p and you have a nice all-around contender. The GX9 follows the same build style as its predecessors, the GX7 and GX8. As with any manufacturer, Panasonic kept similar design principles so existing users don’t feel uncomfortable with a new design. It’s a midway design between the GX80/GX85/GX7 and the GX8 and tries to fit in features from both. It doesn’t cram in everything from the other camera sets, but you do get a happy medium between them both. As you’d expect from any new model or upgrade, GX9 comes with a new and improved sensor – a 20MP Four Thirds sensor like the GH5 and G9, but with no anti-aliasing. This is at least a megapixel jump from the GX85 at 16MP, with images just as good as on the GX8 at 20MP. One very cool feature is the tilting viewfinder which is inherent to the Lumix line. While it’s a great addition for taking those very high up or low angled images, you may find instances where the quality and even magnification could be better. This is not so much a downside as the rear screen can tilt up and down. It’s not fully articulated as on the GX8, but the view has increased from 1.04M (720 x 480) to 1.24M(1280 x 720) on the screen. At the very least, the Lumix range gives you the option of two ways to view your subject, which is no bad thing. All touchscreen features are similar to recent past Panasonic cameras, so everything should feel familiar here. When it comes to size, the GX9 is just a bit bigger than the GX85 with a metal top and bottom plate and composite body and dials. The layout of the viewfinder, pop-up flash, hot shoe, and dials are well thought out and simple to use. The built-in flash is only a small unit with a setting of ISO 100 at 4.2m. It’s not great on power output, but at least it has one over the GX9. You do have the option of a hot shoe if you want to use a more substantial flash. All controls on the rear of the camera can be customized and assigned from its 11 pages of options. You have a Quick menu, My Menu, and Custom, giving you lots of options to play with. There is an Auto ISO feature where you can set a range of ISO values with a minimum shutter speed, along with intelligent ISO settings, but you won’t be able to tweak this for different focal lengths. However, it can be used in manual mode and in movie mode, which is a nice feature. Straightaway you see that the GX9 has great JPEG color and quality. It may not be able to match an APS-C or full frame sensor for resolution, but you have to factor in what you’re getting for your money here. You will find the most benefit for taking candid shots and travel images using fast and accurate autofocus. The camera also has great wireless connectivity for sharing images on the go. Using features like the L.Monochrome D can give lovely black-and-whites, but if you’re taking a lot of formal portrait images, you may want to look for something with a bit more resolution. Raw files are good up to ISO 6400 with little noise showing, with JPEG images being detailed and rich in colors across the board. Autofocus tracks well, even in low light, taking advantage of Panasonic’s DFD system. Video quality is a good asset on a compact camera such as this one, with 4K being a major asset here. The crop factor of 1.25x limits wide-angle shots, but you do get features like body stabilization, focus peaking, and the histogram. It may lack a headphone and microphone socket, but if you want high-quality video footage on a non-regular basis, the video capability of the GX9 is more than adequate. There are a handful of cameras in this bracket you can compare the GX9 to. Two of these come from Panasonic themselves with the GX8 and GX85. The other two being the Olympus PEN-F and Sony a6300. All are competitively priced hovering around the $1000 mark, with the GX8 and Olympus being the most expensive. Battery life on the GX9 is the worst compare to competitors with around 260 shots per charge. The GX9 has taken what it can from the GX85 and GX8 and combined them into one model. There are characteristics from both of these models, along with improvements in other areas. The tilting rear screen comes from the GX85 as with the body dimensions. The GX9 improves over the GX8 with a better shutter mechanism, AA-filterless sensor, and pop-up flash. Previous Post« Previous Review: Nikon D810 Hits a Benchmark?